Directions: N Main To Brightman Or 79 N Exit Onto Davol St.
Wow! Owner financing available.Formally known are the Sportman's Club and The Bee's Nest Restaurant and Bar This property has a new roof, and 2 new heating efficient systems ready for central air to be added. The kitchen remains functional and could provide the ability to prepare meals for a senior center, day care, private club ,clerical office space, medical, legal purpose etc. Small dance floor still remains for gatherings, parties, wheelchair aerobics just to name a few possibilities. Bring this former 'HOT SPOT" back as one of the popular places to visit with easy city or highway access. The building had been leased to a house of worship. Approximately 4300 sq ft of space. Building is freestanding on a corner lot as well as among other businesses as well as residences. 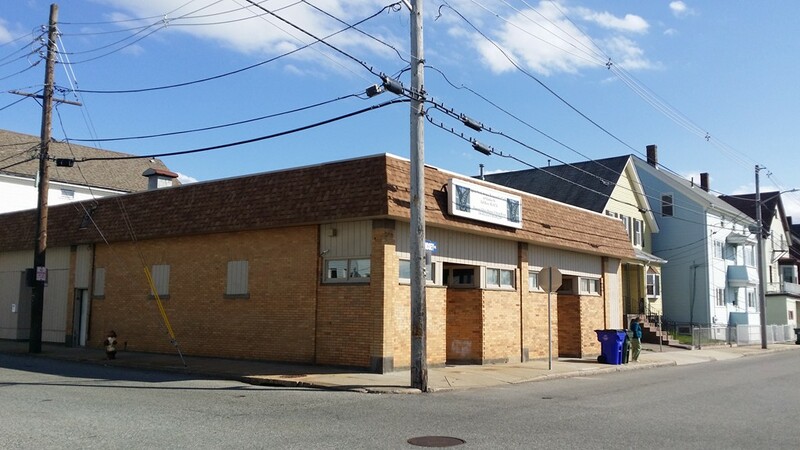 Possibly can be divided into 2 separate units.Desirable location off major ramp from 79 N. Half mile to the Waterfront, Carousel and waterfront. Perfect also for an ice cream parlor or a vegan cafe/ health studio.